Betty L. Cornett Foister of Waynesburg, Kentucky born August 20, 1943 to Maggie McKnight Cornett and Chester A. Cornett who both precede her in death. She is survived by her husband, David G. Foister, two children; Gregory (Hillary) Stanley and Margo Osborne of Knoxville, Tennessee; three special stepchildren, Arthur Foister and wife Monique, Cassandra Foister and Sabrina Steele and ten grandchildren and one great grandchild. Also surviving are two brothers, Herman Cornett and Chester (Barbara) Cornett; two sisters, Leanore Bowman and Frances Godbey; and many nieces and nephews on the Cornett side. She was preceded in death by two brothers, Earnest Cornett and Wendell Cornett. 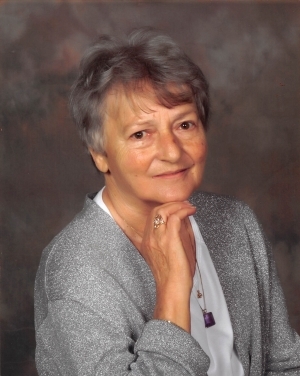 Betty was a two-time cancer survivor and had become immobile with rheumatoid arthritis. However, she believed everyday on earth was a gift from God to be cherished and thankful for. Betty was a member of Ephesus Baptist Church in Crab Orchard and enjoyed the fellowship of the people there and especially being a parishioner of her brother, Chester Cornett, for the first seven years after moving back to Lincoln County. A Funeral Service will be held 3:00PM Wednesday, March 27, 2019 at Barnett, Demrow and Friend Funeral Home with Bro. Kerry Jones officiating the service. Burial will follow in Double Springs Cemetery. Greg Stanley, Arthur Foister, Tony Stanley, Zachary Wilson, Dallas Worley, Trevor Dixon and William Steele will serve as Active Pallbearers. The Visitation will be held 12-3PM Wednesday at the funeral home. Barnett, Demrow & Friend Funeral Home is entrusted with Betty’s arrangements. Guest Book available at www.friendfuneralhomes.com.